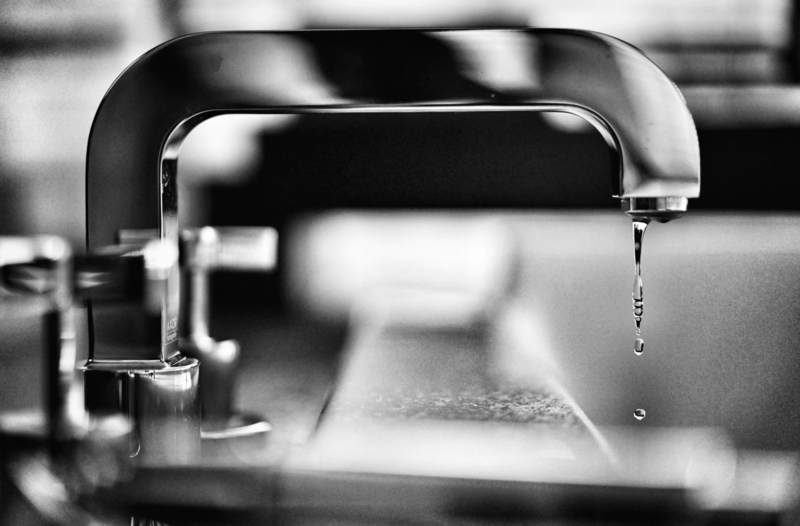 Finding and choosing a reliable plumber is one of those things that most homeowners know they should do at some point … and they usually wait until there’s an emergency to find someone, prioritizing availability over quality. That’s an understandable situation to find yourself in, but it’s definitely not ideal, and you might or might not be happy with the work the plumber does or the price tag attached to that work. Whether your current plumber just retired or you moved to a new neighborhood recently, there’s no time like the present to find a plumber who’s a good fit for you, your household, and your lifestyle. Ask yourself (or the plumber) these questions before you decide on someone who can be your on-call specialist for all your household plumbing needs. States license plumbers, and each state has slightly different requirements and standards when it comes to licensure. You’ll definitely want to make sure that any plumber you hire to work on your home has been appropriately licensed, which will protect you in the event that something goes wrong as well as give you the confidence that the plumber can handle your particular problem. Some plumbers put this information on their website, and some states allow you to search for specific licensees and even a list of disciplinary activities (if applicable) so you can do some due diligence upfront and find a trustworthy, qualified plumber. Are they bonded, and do they have proof of insurance? If a plumber is bonded, that simply means the plumber is covered by an insurance policy that will reimburse a client if the client files a claim as a victim of fraud. Bonding is one way that you can determine whether the plumber is financially stable and ethically above-board because the bonding company or agency will have taken steps to evaluate the plumber before issuing the insurance policy, giving you a little bit of extra confidence that you can trust the plumber. So ask if the plumber is bonded and if he or she can provide you with proof of insurance to that end. Are they registered as a tradesperson, or are they employees with a larger company? Plumbing is one of those trades where you see a wide variety in how plumbers practice their business, from small one-person operations up to a national company with thousands of employees across the country. There’s no right answer to this question, but you might have a preference as a homeowner about the type of plumber you’d like to work with or a passion for supporting smaller local businesses. So it’s helpful to ask — that way you’ll also have a better idea about the plumber’s availability, flexibility with pricing, and other details that could come in handy. How long have they been in the plumbing business? It’s always useful to gauge the experience level of anyone who’s going to be working on your home, so ask your potential plumbers how long they’ve been in the plumbing business to get a sense for their expertise. There are also specialty plumbers who can work on things like gas lines, and levels of plumbing experience (from apprentice to master plumber), too, so you should follow up with a few more questions about any specialties and their experience level if they don’t volunteer that information for you. Is their rate hourly or fixed? Some plumbers will charge a fixed rate for a job — in other words, whether it takes five or fifty minutes, you’ll get charged the same amount. And some prefer to charge by the hour. This is another question where there’s not necessarily a correct answer, but if you’d rather pay by the hour than a fixed-rate cost, you should understand before you call the plumber out to your house what their pricing structure looks like; that way you won’t encounter any unpleasant surprises when you’re handed a bill. How much will it cost and what’s included? If you happen to know off the top of your head why you might need a plumber, ask your candidates how much they charge for that specific fix and what’s included in the price. Don’t neglect the second part of that question; some plumbers might tell you what they charge for their time and forget to add that you’ll have to pay separately for any parts they need to finish the job. Try to be as specific as possible with your question so you can make comparisons between answers — “unclogging a drain” is less useful for research purposes than “unclogging a kitchen drain at the U-bend,” for example. What quality of fixtures do they use? Many plumbers work with a range of parts and fixtures, but some will only want to use high-end materials because they trust that they’ll last longer. Ask your potential plumbers about the types and quality of the parts and fixtures they’d potentially be using to solve any plumbing problems that you might have, and note any explanations they offer for why they do it one way instead of another way. Then you can use what you learn talking to one plumber with another who does things a little bit differently — and you’ll also understand upfront exactly what you’re getting if you do decide this plumber is for you and suddenly need their help with something urgent. Some plumbers have apprentices who are still learning the ropes, while others are one-person operations who do everything themselves. And in the bigger plumbing companies, you might see a different plumber at your house every time you call for help. It helps to understand upfront who’s going to be working on your house — and whether that could change if your call comes after-hours instead of during a normal nine-to-five, Monday-through-Friday schedule. If you’re working with a larger company that has multiple plumbers, follow up and ask them whether they do background checks on all their employees and what those checks entail. It might seem a little bit rude, but think about it: This person will be coming into your house. Don’t you want to feel safe and secure in their presence while they solve your plumbing problems? Although most plumbers offer after-hours servicing (usually for an extra charge), not all of them do. If you know you’ll need the plumber primarily for a project like a remodel, that might not be an issue, but if you’re looking for someone specifically to help with emergencies, it could be a deal-breaker. Ask them about their availability or make sure you’re looking up that information online, and do your best to determine whether that availability includes evenings and weekends or whether you’d have to find a backup or secondary plumber for emergencies. Can you call with questions? When? Believe it or not, this list of questions is likely not comprehensive — if you have an emergency need or want to price a remodel in your bathroom, you’re likely to have a lot of specific questions that can only be answered in the moment. So ask your candidate plumbers about whether and when they’re available via phone to answer your questions. Some of them might be more open than others, and of course, if they’re on a call, your informational quiz about a remodel may have to wait, but you’ll at least get a sense of how comfortable they are talking to homeowners like you about plumbing needs and how available they are to provide responses or reassurance when you need either one. Are there any guarantees included in the pricing estimate? Some plumbers offer a guarantee with their work — if whatever they fixed or remodeled breaks within a certain period of time, they’ll come back to the job for free or for a reduced rate to help you out. Not every plumber does this, but it’s well worth your time to ask whether they include guarantees in their pricing estimate or offer them for an additional charge. This can help provide peace of mind if you’re worried about a chronic condition, so to speak, and can also give you a sense of how confident the plumber feels in their work and how willing they are to back up that confidence with a guarantee for you. Do they do more emergency or remodeling work? There are many plumbers who do both emergency and remodeling work, but there are also quite a few who specialize in one or the other. And even those who do both tend to lean more one way than another, either by choice or because of market demands. Talk to your potential plumbers about which area tends to occupy more of their time, and feel free to ask if that’s by choice or because of the types of phone calls they tend to get from homeowners like you. You might decide that it suits your needs better to have one of each on call when you need them, or that a plumber who does it all is a perfect match for you. It’s probably also wise to be aware that plumbers who work on a lot of remodeling jobs might not be as readily available to show up in an emergency — their time may be already booked, especially during normal business hours. Ideally, the reference will have the same kind of plumbing needs that you do. In other words, if you live in a single-family home in a certain neighborhood, a reference should also be someone who can speak to the plumber’s experience and expertise working on residential homes, preferably in the same neighborhood, and not the owner of a retail store. Some plumbers early in their careers might not have a large list of references yet, so take their experience level into account and weigh it against what their references have to say. On the other hand, a plumber who’s been working for decades in the neighborhood but who can’t provide a decent list of references might be a red flag that you should keep in mind as you’re making your decision about the plumber to hire. What do the online reviews say? Although references are nice to have, they aren’t strictly necessary in an era of online reviews. You can learn a lot about the plumbers you’re evaluating using a number of online tools, including Google reviews, Yelp, and specialized websites such as HomeAdvisor, which let customers provide feedback on service, price, and much more. These can serve as a good tool for screening the plumbers before you narrow down a short list of possibilities, and they can also provide you with some additional questions to ask, or questions you want to really focus on based on the reviews. Pay attention to how the plumber responds to the reviews, if responses are offered — that can also tell you a lot about how they handle themselves professionally. What does the website tell you? If the plumber has a website, spend some time looking around to see what you can discover about their level of professionalism. The website might be very dated, for example — if it looks like it hasn’t been touched since the late 1990s, that could be a sign either that your plumber is too busy to update their website or that they don’t pay close attention to details. On the other hand, if there’s a resource center for homeowners that focuses on plumbing problems or upgrades that are very common in your neighborhood or market, that could be a sign that your plumber is a decent service provider who wants to help customers become more educated about their own homes. Websites are definitely not definitive proof that a plumber is good or bad, but they can offer quite a few clues to help you decide whether the plumber is a good or bad fit for you, personally. Are they polite on the phone? You might be working with this person when you’re feeling pretty stressed out, either by a remodel that’s gone behind schedule or a dripping pipe that you’re afraid is going to cause major damage to your home. What can you tell about your candidate plumbers based on a phone conversation? Were they polite, and did they take time to answer all your questions — or did they brush you off quickly? Did they gently redirect you to a website where the answers to most of these questions can be found, or did they answer curtly with just a few words without going into great detail? Obviously, you don’t need to become best friends forever with your plumber, but knowing that you get along on a superficial level will be useful if you decide to hire them — and knowing that you really don’t care for their manners is also good to know before you ask them for their help when you’re already feeling anxious. Can you get a referral from someone you know? This might seem like a long shot, but social media has made getting a referral from a known, trusted source much easier than it used to be. If you don’t know anybody who might have used this plumber before, find your community or neighborhood Facebook page or group and ask if anyone there has had experience with the plumber or plumbers you’re considering hiring. At worst, nobody will have heard of them, but at best, you’ll get several firsthand anecdotes about what they did, what the service was like, how much it cost, and whether the poster would use that plumber again. Hiring a plumber might not be at the top of your to-do list right now, but it’s better to find someone sooner than later — looking at the last minute is never ideal. Use these questions to help you find the perfect plumber for you.